Waffles are so yummy! These are a whole wheat version and they are awesome! You will need a waffle baker. I have a Belgian waffle baker and the waffles are big with deep pockets. 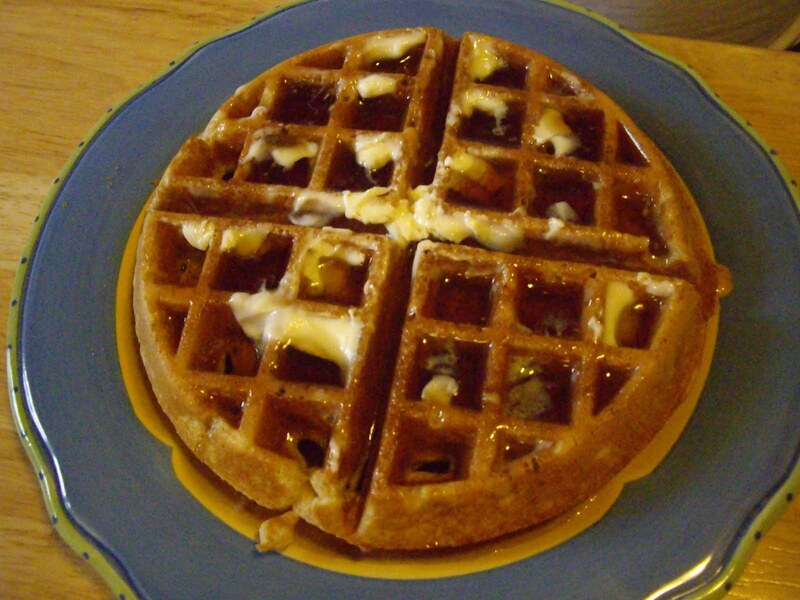 If you have a smaller one, you may need to adjust the amount of batter you use per waffle. In a mixing bowl, beat the eggs until fluffy. Add the rest of the ingredients and beat until fairly smooth. If you have some lumps, that’s fine. Pour 1 cup batter onto the center of the waffle baker and cook for about 3-1/2 minutes or until the waffle maker signals that the waffle is done. You will get 4 Belgian waffles.